With the election results out and the people of India asserting their mandate, Chief Justice of India R.M. Lodha also displayed his aspirations from the new government, under new Government. The CJI reportedly outlined a five-point agenda to cope with tribulations facing the judiciary. These include simplification of procedure, change in mindset of advocates and judges, quality legal education, promoting judiciary as a career among law graduates and augmentation of infrastructure. Talking about speedy disposal of cases, CJI emphasized on the positive impact that prompt disposal of cases will have on the Gross Domestic Product (GDP). According to the 2008 Judicial Impact Assessment Report, by the Task Force under Chairmanship of Justice M. Jagannadha Rao, allocations of 0.071%, 0.078% and 0.07% of the Plan outlay in the 9th, 10th and 11th Plans are wholly insufficient. They had hence suggested the setting up of Judicial Impact Offices in order to fill the big gap in the planning and budget system for Courts. A miniscule 0.11 percent of the 2014-2015 central budget of Rs. 17.60 lakh-crore is projected to be used up for law and justice. Justice Lodha had initiated the tradition of having a regular Constitutional Bench to accommodate the ever-growing number of pending cases. He also suggested a system similar to the one prevalent in South Africa. According to this system, there exists a Court of Appeal between the ranks of High Court and Supreme Court. The Supreme Court decides only Constitutional matters and all the other appeals from criminal or civil cases are taken up by the Court of Appeal. The Court of Appeal is subordinate to the Constitutional Court in all Constitutional matters. However, it enjoys final jurisdiction in non-constitutional cases. Justice Lodha, in April had stated that, “One cannot say there is no corruption at all in judiciary”. He had discussed various avenues of the judiciary, such as inadequate funds, corruption, appointment, pending cases and overload of cases, besides others. Earlier this month, Justice Lodha called for an all- year justice delivery system. “Law and justice field has its dignity and it must be maintained in order to keep the trust of the people in judicial system”, he added. Judiciary should indeed be developed so as to ensure the enforcement of the rights of the citizens, as envisioned by the Constitution of India. Enforcing the five point agenda will indeed, allow the citizens to value and expand their rights rather than allow them to be crippled by the handicaps of judicial power or budgeting concerns. 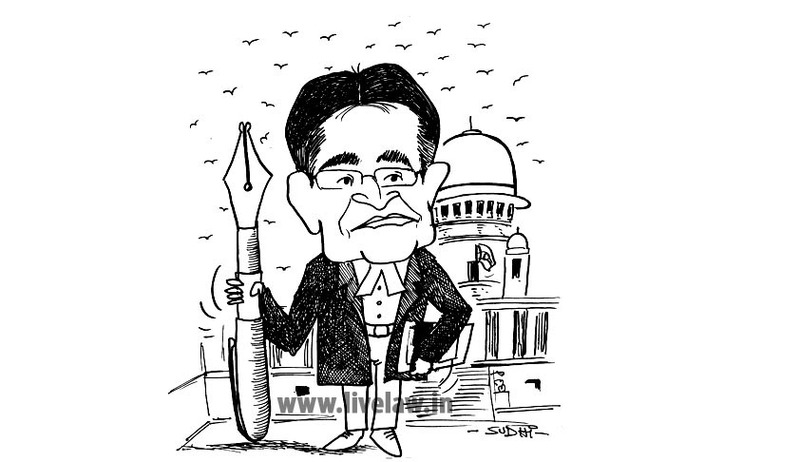 Justice Lodha became the 41st Chief Justice of India after CJI P. Sathasivam retired on April 26.